Simply enter the code FRIENDS at the checkout. They are also including free shipping! Whenever you purchase online you also get to pick 2 complimentary samples. I ADORE this body lotion. It's light enough for summer use, but still moisturising in winter. The scent lasts from day to night too! I love to put this on before bed. I reviewed this here back in January, and I still love it. It's fantastic for anyone who wants soft and sparkling skin without harsh grains. 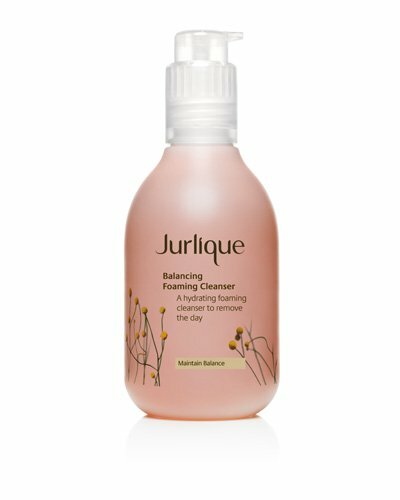 This is such a fantastic cleanser for anyone that is suffering from breakouts, but don't want harsh chemicals in their cleanser. It contains Rosehip oil and vitamin C and E. It's great for normal to combination skin. Are you a fan of Jurlique? What's your favourite product? *It excludes gift sets in the 15% off online promo. OK, seriously... you need to stop making me want to buy things!! I love jurlique... must.not.buy!!! Love their rose handcream, though I've just bought the C&E one as they had $10 0ff. Their hand creams are great! I haven't really tried C&E. Their packaging is gorgeous though.